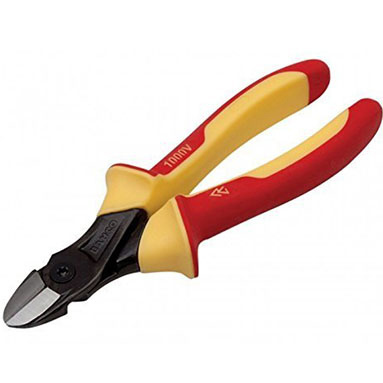 Side cutting pliers with insulated handles and progressive edges. Specially designed to cut hard materials such as piano wire and spring steel wire close to the joint and additionally to cut softer materials such as copper wire and plastic insulated wire at the tip. Insualted handles up to 1000 volts.